This blog post offers tips and information about web hosting for video related sites. Our recommendation would be to order your hosting from this web host for your video content sites. Visual content online is something that will attract many people to a website. Sites like YouTube attract millions of visitors daily by its free video content. While this may sound like a great way to get traffic and notice to your website, company, or products, a video website has hosting requirements that are different from most websites. 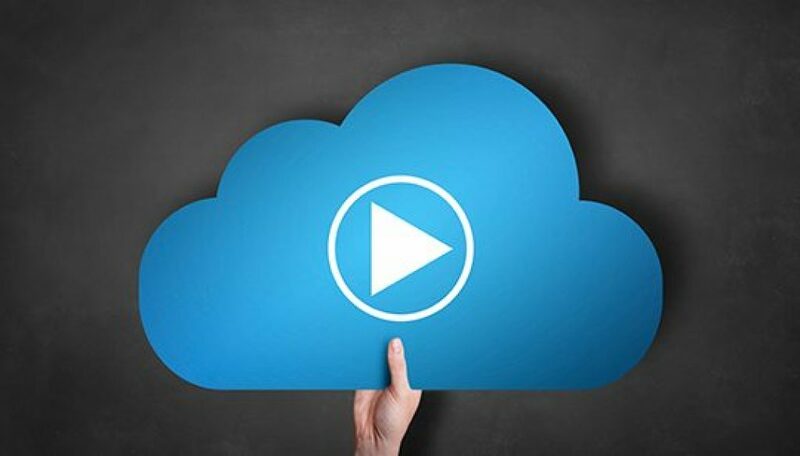 Without the right hardware, bandwidth, and support, a video site would not be successful and will run into many problems and outages before it even gets off the ground. In this article, we’ll take a look at some of those requirements and provide insights on how to start a successful video site. The most striking contrast between the needs of video websites and regular websites in the quality and amount of bandwidth needed to run the site. While space and bandwidth are not a problem for everyday sites, they are a big factor when running a video site. To make a video site profitable, you will need low-priced but the quality bandwidth to serve a large number of users. For normal site that serves static HTML or PHP pages, each page is maybe 25-40 kilobytes in terms of size and each individual visitor does not take up that much bandwidth so the bandwidth constraint on a hosting plan is never a large issue as 100GB/month of bandwidth is more than sufficient for most sites like these. However, this is not true for video sites. Many videos are several MB in size or 10′s of MB in size. Each unique visitor may take up 100′s f MB’s of bandwidth on each visit. A decent-sized video site may be pushing several hundred GB’s or even hitting the 1TB mark in bandwidth per month. Let’s break it down like this and say you have about 5000 unique visitors a day. Each visitor on average views 3 videos a day and the videos are an average 6mb in size. 5000*30 days per month*3 page views per day*6mb for each video = 2,7000,000 MB of bandwidth or 2.7 Terabytes of bandwidth. 5000*30 days per month*3 page views per day * 30kb(.03mb) for each page = 13500MB of bandwidth or 13.5 GB per month. So as you can see by the calculations, a video site will consume roughly 200 times as much bandwidth as a regular site. For this reason, finding quality hosting for a video site is much harder than finding quality hosting for a regular site. If you using a PHP/ASP/JSP/PERL/etc script to run the site(which almost every video site is), then you must consider CPU and RAM usage along with bandwidth and disk space requirements which makes the task 10 times harder. Hosting that offers lenient policies on CPU/RAM usage are the ones that do not squeeze too many users on a server and therefore are generally the ones who do not oversell. These hosts usually do not offer enormous amounts of space and bandwidth that the major oversellers do. When looking for a video host you have three options: taking your risks on an overselling web host, paying more for quality shared hosting and upgrading as you expand, or going straight for a dedicated server. First, let’s look at taking a risk on an overselling host. This is not the option I would recommend but if you are on an extremely tight budget to start your video site, this may be the way you have to go at first until you can get a bit of income. Before going with a budget host, read their Terms of Service agreement and make sure they allow hosting videos. If you are going for this option, I would suggest just manually updating your site and use static HTML pages at first until you get visitors, a steady stream of revenue, and can move off to a better solution. Since these hosts give huge amounts of space and bandwidth for a very cheap price, they usually have a low tolerance of CPU and RAM usage and you will probably get suspended for using too much CPU or RAM if you use a database-driven script to run your video site. Many of these plans offer 3TB+ bandwidth so you will not have to worry about bandwidth while you are on these plans. However, you should know that if you go with a host that falls into this category, you are going to be crammed on a server with hundreds, if not thousands of other users, and your website performance will always be in jeopardy. Before you pick a host in this category, be sure to head over to http://www.webhostingtalk.com to read and ask in the forums about the host that you think you may be going with. A few of the hosts in this category that I would recommend avoiding are the hosts which have documented cases where they suspended a user for simply using “too much space”, even though that user had not reached half his allotment. The user was given a choice of either having his account deleted or reducing his storage down to 15GB even though the plan offered 75GB. This was an extremely unethical move and I would not trust a host that would pull something like this on a customer. Both of these hosts are also known for their frequent downtime and slow server performances. Powweb, since being acquired by a bigger company about a year ago, has been noted for its frequent outages and servers that crawl along at a snail’s pace. When you ask for technical support on these issues, the most frequent response from their support staff is “it seems to work for me”, which does not help customers. Powweb touts the scripts that it offers with its hosting plan, but in reality, as many customers will testify, those scripts simply function at an unacceptable speed on most of their shared servers. While these three are to be avoided, one host I would recommend looking at in this category is Hostgator. Despite a large amount of overselling they do, they do provide adequate tech support, have decent server speeds, and will work with the customer on issues. The owner of Hostgator often frequents webhostingtalk.com’s forums so you can always get his attention there. If you really need a budget plan for video hosting, then give Hostgator some serious thought. The next option is the more expensive shared hosting plans by a company such as mediatemple.com or dowtownhost.com. These services will usually charge more and offer less space and bandwidth but have superior technical support, usage tolerances, and customer service. If you plan on using a script to run your video site, then this option is highly recommended over the cheap overselling shared option. Many hosts in this category have special optimizations and setups to run server-intensive applications. Your account may still get suspended if you use a large percentage of the CPU/RAM on a consistent basis but your CPU/RAM allowances are much higher with these hosts, and they will tell you or issue a warning when they suspend your account. They will also work with you to bring your site back up and let you know if you need to upgrade to a higher plan. The quality of bandwidth that these hosts provide is also better than budget hosts. These hosts have a multi-homed bandwidth from top-tier carriers and will ensure low-latency short-path bandwidth to your site, giving your streaming video very little lag the majority of the time. While you may only get one-third or one-fourth of the bandwidth you get from a budget shared host, these hosts are well worth the money for the additional services they provide. As always, since you are still on shared hosting, read the terms of service agreements to be clear on what is allowed and what is not allowed on each host before signing up. The last and most optimal choice for a large video site is the dedicated server. All video sites, once they get popular, will eventually have to migrate to this solution. With this solution, you will not have to worry about CPU/RAM limits and being suspended for those things as you are on a server all by yourself and are not sharing the resources with anyone else. If you go with this option, you should research the various datacenters and the various companies that offer dedicated servers out of them. Choose a data centre in a location that is close to where your visitors are(at least in the same country) and choose a provider that uses multi-homed, multi-tiered bandwidth via fibre-optic cables. For a video site, the burst bandwidth rate is very important so you will want bandwidth out of a 100mb port instead of the 10mb port on your server. Do pings and traceroutes to the different datacenters and server and check the response times back to you before you buy. You’ll want to buy from a datacenter that has a low latency time so your videos do not lag. Dedicated server range anywhere from $65/month to $400 a month. My advice is to take the middle road for prices and get a managed dedicated server for around $200/month. This dedicated server should have a dual-core processor, at least 1 GB of RAM, and plenty of hard drive space. Additionally, it should be monitored by the host 24/7 and have prompt tech support. As always, talk to your dedicated provider before jumping on and buying a server and read reviews about their service. A dedicated server is a large investment of money, and you will want to make the right choice. Now that we have covered the options for hosting video sites and the basic hosting requirements, you should have a solid base of information to build your research on. Do your research carefully and pick a host that fits your criteria. Do not be too cheap and spare a few dollars a month by sacrificing service and work with your host once your site is up and running. Picking a good host for a video site is like laying a solid foundation for a house, pick well and you will be successful at running your video site.